Yesterday, The New York Times energy and environment blog ran a post titled “Are We Hard Wired to Doubt Science?” The central question posed by the piece — “How, in a rational society, does one understand those who reject science, a common touchstone of what is real and verifiable?” — is also the central question of my book, so it’s obviously a topic I’m very much interested in. What struck me right off the bat was the use of the following illustration, which described “The cerebral cortex and hippocampus amygdala (in red) in a normal brain.”* The image was credited to Dr. Martha Herbert of Mass General Hospital. [N]o means of testing Dr. Herbert’s theory appears, nor is any error rate identified. Although Dr. Herbert refers to publications in peer reviewed literature, the publications cited do not address her method of determining the cause of Emilia’s condition, nor does anything else in the record identify any peer reviewed literature that does so. Clearly, Dr. Herbert’s method is not generally accepted in the scientific community. Dr. Herbert’s theory of environmental triggers of autism may some day prove true. It has not yet. Her proffered testimony does not meet the standard of reliability required by the case law, and cannot be admitted in evidence at trial. * Based on the very small amount of online searching I did early this morning, there doesn’t appear to be anything called the “hippocampus amygdala” — but lord knows you can’t trust everything you think you learn doing some simple Internet searches. It is really easy to discount doctors whose methods are “not generally accepted in the scientific community” Using this criteria, we wouldn’t have a small-pox vaccine and a lot of other former cutting-edge medical breakthroughs. The medical profession is notoriously conservative. Auto-immune diseases seem to baffle the mainstream medical profession. They have a record of control and not cure. Maybe Dr. Herbert is right and maybe she isn’t. Marching to a different drummer does not necessarily make you wrong- it just makes you a moving target. It’s true that the medical community was initially skeptical of the smallpox vaccine, but put in context, vaccines were new and cutting edge science. Skepticism in the face of a revolutionary idea is not unwarranted. The hypothesis that autism is caused by environmental factors is not a revolution. It has been well-studied and has been shown not to be true. Dr. Herbert’s continued insistence in spite of the evidence is not admirable. At least she doesn’t support chelation, so she’s not a total quack. I saw Dr. Herbert give a talk recently. A long talk. She spent a large fraction of the time pushing the epidemic. She even brought out the “china plume” argument that David Kirby came up with, where mercury from smokestacks in China makes its way to the US west coast to keep autism rates high. She used the Herz-Picciotto data showing that they could account for some of the rise in California autism rates due to social phenomena, and left it to imply that the rest has to be a real increase in incidence. She neglected to mention Peter Bearman’s work (even though she cites it in a handout). Prof. Bearman has accounted for an even larger fraction of the increase as being due to social causes. She is an interesting character in the community. Her research goes 180 degrees against the idea of a “cure”. If someone has a major difference in brain structure, how are we supposed to cure that? And, yet, parents feel she gives them hope. 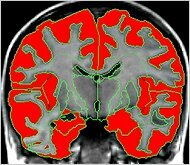 She has another grant from NIH to look at white matter comparing autistic and non-autistic kids. “I did a rather long interview with the Tribune to explain my thoughts on chelation and additional approaches to solving the health issues connected to autism. The only consequence of my interview is that you use a solitary quote to make me sound contentious and defensive. Is there a reason you chose not to use something I said that would actually illuminate the discussion surrounding chelation and other medical treatments for medical compromises that may exist in these children? “So let me clarify one more time: my position on chelation is a consequence of science. There is no doubt that it serves to reduce the body burden of heavy metals. But although there are numerous anecdotal reports, we have no sound science yet to assess whether, how or in what ways the reduction of those metals leads to an improvement of children with Autism Spectrum Disorders. I support such research. Secondarily, like all forms of treatment, chelation can be mishandled by practitioners; it carries some intrinsic risk for which there are protective measures that can be taken (and that need to be studied); mishandling this treatment can create extra risk. I support research to determine if there are optimal chelation strategies that minimize risk and maximize any potential benefit. There is risk for many procedures and medications in medicine, and this is balanced against benefit and need. “It is also the case that physicians use treatments based on judgment in cases of serious need. That is commonplace. Obviously there are good and bad doctors but it is not only bad doctors who do whatever they can to help patients in need. Good doctors are often good precisely because they do that skillfully. I have more peer-reviewed publications that does Dr Herbert, and I’d be the first to object if someone equated the number of my papers with brilliance. Also, if Herbert is brilliant, does that make Offit 20 times more brilliant? Bonnie, it’s not true that the hypothesis that autism is caused by environmental factors “has been well-studied and has been shown not to be true”. There is increasing acceptance among mainstream scientists that autism involves the interaction of genetic susceptibility with envrionmental factors.